Jägermeister..who doesn't know it. This herbal liqueur is made in Germany, contains 35% alcohol ( 70 proof) and comes in the recognizable green bottle. Unlike some strange urban legends suggest, there is no deerblood in jägermeister. But it does contain 56 different herbs, that has to count for something. First off, this stuff is dangerous. Not in a negative way, but it's hard to spot the alcohol in it, while it's a rather potent drink, when consumed pure. You really have to try to capture a hint of alcohol when sniffing the drink. It's hardly there. What you do get, are, no kidding, herbs! To be a bit more precise, it smells a bit like your average coughing syrup. Including a hint (well a bit more then a hint) of liquorice and mint. The liquid itself is a dark red-brown and clear, and tastes the same way it smells. It will give a little numbling feeling on the tongue from the alcohol, but there is hardly a burn going on. At most a warming sensation going down your throat. Right after the initial taste you get a aftertaste of mint, which fades away into a subtile bitter. And yes, as the slogan states, best served ice and ice cold. Like most liqueurs this can be mixed into many cocktails, you can find a fair few on their website. The herbal taste remains quite strong when mixing it into your drinks, so if you don't like the herbal thing going on, use a little less. Overall it's one of the drinks im always in for, the flavours aren't as jawdropping strong as in allot of other liqueurs, and a 100cl bottle of jägermeister will only cost around €16,-. If you have never had jäger, shame on you and run to the liquorstore at once and buy some. Or try a shot at the local bar. If you want to know more about jägermeister, visit their website here. And as aways, feel free to comment on my mistakes, or other human errors i might have written down. The main *buzz* around absinthe has always been the rumours about the psychedelic effects it supposed to have. 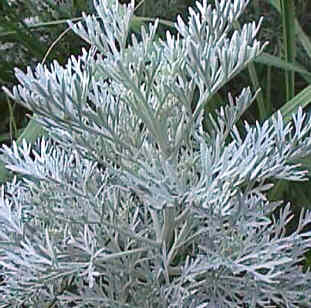 It does seem to have an additional effect besides the alcohol, that's supposed to be caused by thujone, that comes from the wormwood used to make absinthe. Thujone on itself is toxic in higher doses ( allot of substances are), but in the minor amounts that are in absinthe it does no harm. In fact, if one would drink absinthe for that reason, the alcohol would kill allot earlier then the thujone. People did suggest the pre banned absinthe contained allot of thujona, making the *effects* stronger then today's, so that would be the reason of the ban. After some testing from the still existing bottles that proved not true. 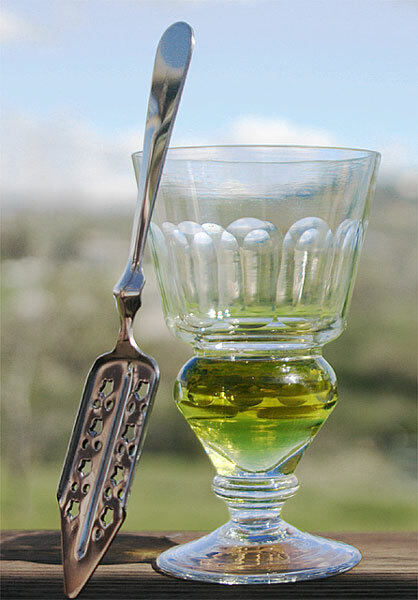 Allot of artists used to drink absinthe, and claimed it did help them artisticly. While the high alcohol in absinthe might made them think a little different then normal, the thujone made them a bit sharper so they could actually use all impressions they where getting to write/paint them down. But what the thujone actually does isn't that well known, besides convulsions and death resulting from a lethal amount of it. The reason allot of people earlier got so sick of it, was propably due that allot of homebrews had other very toxic ingredients in them (making the drink green). Other then that, allot of herbs supposed to have additional effects then just to add flavour, so the absinthe effect could aswel be a mix between other herbs inside the drink. Personally i'll do my best to get my hands on some absinthes, since it wasn't just popular in the old days because of the so called psychedelic effects. People used tons of now illegal drugs in all kinds of mixes to fix diseases. But the most obvious reason why it was popular was probably just because...it was tasty. And im very eager to find out if thats really the case. The rumours and the way to prepare the drink are at least intriging. Have anything to add or ask? Feel free to add a comment. Time for some whiskey, Famous Grouse whiskey to be precise. I have 4 types here to review now, but i'll start off with these 2 and will make a new one for the remaining two. To start off, it's a scotch whiskey, containing the usual 40% alcohol (80 proof). The Finest beeing around €24,- a liter, and the blended around €28,-. Both liquids are yellow gold ish in collor as you can see on the pictures, but the blended whiskey is a bit darker. The Finest will ofcourse have your typical whiskey smell, but it's a bit on the sweet and mild side. Maybe some hints of honey. While the Blended has a heavy oaky smell to it. The Finest has a bit of a malty sweet taste to it, and the alcohol will imidiatly numb the tongue a bit. On the aftertaste you will notice a stronger wood taste then when you first sip it. The Blended whiskey will have a more smoother taste with less of an alcohol attack, and allot more wood and smokey flavours to it. Both rather typical whiskey's to me personally, and besides the differences i just mentioned, not too different. The Blended one does seem to be smoother and easier to drink, but you will have to deal with a far more heavy smoke flavour aswel then. If you can't wait and want more information about this Scotch whiskey brand, visit their site here!. To fit in with the post below, i thought i'd give this particular brand of vodka a closer look. First off, Grey Goose is a french brand, the vodka is 40% (80 proof) and it has a fancy looking bottle (i like the frozen look to it). On to the liquid itself. It's obviously a clear blank liquid, like all vodka's seem to be. It has a tiny bit of a alcohol smell going on, but it's surprisingly little. Other then that, no smell at all. When drinking it, that changes very rapidly though. Not that you will get a insane alcohol taste, but you do feel the tongue numbing right away, and the famous vodka burn down the throat. On to mixing it into drinks, since that is probably what everyone is doing with vodka anyway. When mixing it with regular coke, the alcohol smell vanished, no where to be seen. Unless you really dig into it nose deep. No harsh alcohol taste going on either, it really seems to vanish into the drink, like a good vodka should do. No nasty burn, no harsh alcohol flavour ( admitted, you do keep a little bit of alcohol taste to the drink ofcourse, but compaired with my personal other vodka experiences, it's very tolerable). One of the finest vodka's i've had so far, but also one of the most expensive ones. (looking at €33,- ish for a 100cl bottle). Personally, i think its worth it. If you're into vodka, this is your thing. 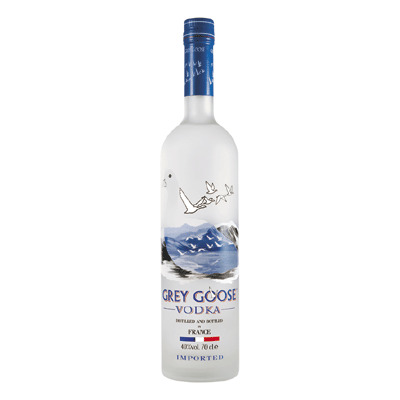 Find more info about Grey Goose, here! First off, vodka is a very clear spirit, with very little smell or taste, and between 38% and 40% alcohol in general. There are different laws and rules on how much alcohol a vodka should have to carry the label vodka. In the EU it's 37.5%, while the classic Russian standard was rounded at 40% (80 proof). 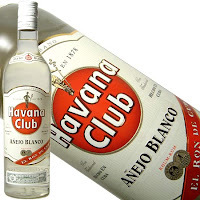 Due to beeing filtered allot to remove inpurities, it's a very popular liquor to use in cocktails. Since besides adding alcohol it will not change the flavour of the drink dramaticly. Where does vodka originate from. This is an ongoing discussion, but it would be in the region of Russia or Poland where the vodka was invented. Currently allot of countries have vodka producing distilleries. Like all spirits, there isn't a single ingredient that makes a vodka. Most vodka's seem to be distilled out of grain (often wheat), but some are also distilled out of potatoes. Since after the distillation finishes, the vodka will contain almost completely out of alcohol, it will be deluted with water. That's the reason some vodka's may taste watery. The main difference between vodka and the other spirits is that after the distillation process, it doesn't go in barrels to age, but it gets filtered a few times. The more, the better, to remove all possible impurities. This also means most of the original smell and taste goes lost in this phase, but since most spirits get a great part of their taste due aging in specific types of wooden barrels, this isn't an issue. Since the vodka will end up as a very neutral spirit, it will prefectly blend into allot of cocktails, and thats why allot of distilleries made allot of different flavoured verions that will go well in all sorts of drinks. From all the stronger liquors, vodka is the best selling one. While wanting to write out a few things about vodka first, i came across a serie of youtube videos about the history of whiskey, interesting enough to link here. To save room on the page i only embedded the first of 6. Just click the links below to watch the rest of the videos on youtube. Today i gave the Bombay Sapphire dry gin a test. I haven't had much different brands of gin but, can't judge what you don't know right? Starting off, its a clear substance, no big surprise there. Because of the last gin reminded me like i had a complete pineforrest for dinner, i'd start of by warning for this. Strange enough i don't smell the alcohol in this particular one, while with a whopping 47% alcohol content, it's not a light drink. For the same reason, i did not get a pine bombartment while tasting this pure, all the alcohol just melted my tongue right away. Overall not as attacking as i thought it would be, and besides the alcohol burn not too bad. Other then that, there are a few subtile hints from the other herbs. But too subtile to be really able to call them out. They do add something to the complexity off the drink. Also i would mention, the label does mention it is a dry gin. And well, it is. No moisture draining thing, but it does add a little dry-ness. But if you do not like the taste of gin in general, this would still be a bit harsh on you i would reccon. While mixing it into another drink, the pine taste becomes less bitter and overwhelming, but it does remain prominent in the drink. But it's not totally going to overpower the drink. When using it in a normal dose it will just add a pine taste and smell, and tons of alcohol to the drink. While former experiences with gin where far less smooth it would class this particular one above them, but since i have no clue what brand those where, thats a bit of a irrelavant comment. So in terms of a gin in general, i'm glad i found this particular one. But before buying a bottle, i would really advise giving gin in general a test. It's probably a yes or no thing with hardly a middle road in between. I would say this is a not a bad gin at all. Give it a try if you are into gin and are able to find it. If you want more information about this london distilled dry gin, click here! Yes, i've got my hands on some Bailey's original. It may sound strange but for some reason i've never had it before, maybe due my family and friends consisting of beerdrinkers rather then something else. Now i'd guess everyone knows how this stuff looks like. It is a non clear mokka-ish color. On the taste department, it smells like a chocolate/coffee mix. Just a little hint of alcohol. And about the taste, if you like chocolate milk and coffee, you're going to like this. It goes down really smooth, no harsh alcohol effects ( not so surprising, it's 17% alcohol). I could mention the fact that it's a little bit creamy, but with the *irish cream* on the bottle, that would be obvious. In a mix you would notice a bit more of the coffee aftertaste, and it will be turning the drink into a more creamy smooth substance. Silly thing i get more of a chocolate aftertaste when drinking it pure, and more of a coffee aftertaste when mixing this. Bailey's isn't a big brand for no reason. They are well know for this irish cream and it's not just because of marketing. It's just a good drink, also easily comsumed pure, altho i would think you don't want to drink a bottle at a time. Best off in turning your cocktails into a more creamy chocolate/coffee -ish mix, since it will be really good at smoothening the drink out, even when adding stronger alcoholic content. Also really good for shot type drinks, and it does layer quitte good for the pousse-café style shots. All in all a drink you should have in your house when into this stuff. It does contain milk so it would be less suitable for the person who would store it for a few months, and take a drink once in a while. It will go bad that way eventually. If you haven't had it before, but are into cocktails, or smooth liquours that aren't mind numbing sweet, go buy a bottle at once! It has been a busy week, but im doing my best to get my hands on some more stuff. I just have to travel a bit further then normal to get them, so updates comming soon! And for all the cocktaillovers out there, everyday drinkers has tons of recipes and video's, so take a peek on there if you can. Also, if anyone really wants to see a drink covered, feel free to comment or mail me and i'll do my best to find it, try it, and write about it.